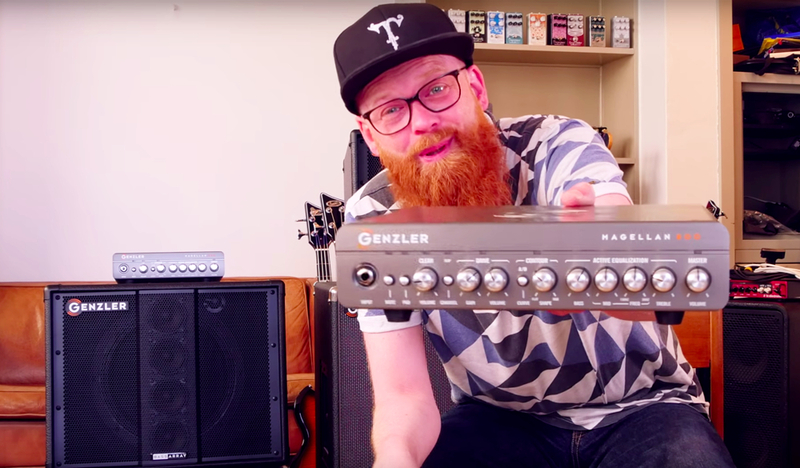 Scandinavia’s new boutique bass shop – Bass Buddha – takes a closer look at the Genzler Amplification range of heads and cabs, including the new king of Class D amps: Magellan 800. First, the Bass Buddha jams out for a while, leaving no doubt that he is a player! Then he goes on telling a bit of the background on the Genz-Benz past and how it turned into Jeff Genzler starting over with Genzler Amplification. Well, back to the Bass Buddha. On the rear panel, it is pointed out that you have an Impedance Selector, which allows you to select between 4 or 8 Ohm and 2.67 Ohm. The result? If you choose 2.67 Ohm, you can actually have this little beast run three 8-Ohm cabs simultaneously. As for the cabinets, here’s what the innovative Bass Array concept contributes with, according to the Buddha: The mids and highs simply sound much more ‘free’ with less compression and distortion. It gives space and allows the sound to develop naturally. Yep, that wraps it up, and we completely agree. Genzler is definitely the place to be in Bass these days!